“Slow travel” means taking time to explore the places you visit. It’s a “hub and spoke” way to travel. Staying in one cottage or apartment for a week or longer and taking day trips to surrounding places is an ideal way to discover more than just the touristy centers of major cities. 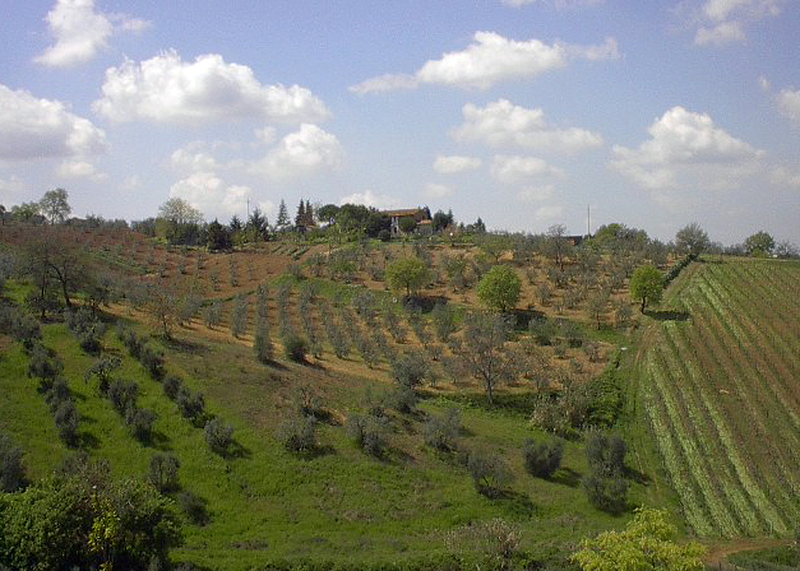 Italy, for example, offers many opportunities for exploration of historic, artistic cities and beautiful agricultural areas. The early spring view from “our” kitchen window in Montaione. 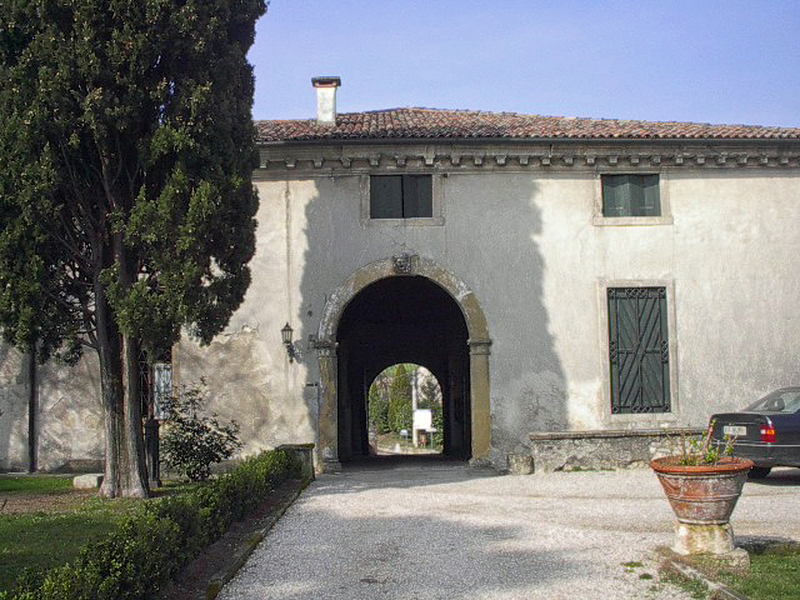 The villa called Castel Marinoni in Barbarano, Italy. Another time we spent ten days in the Veneto, the region in northeastern Italy that includes Venice. We stayed in a very Italian apartment (that means a kitchen and a bedroom – no living room) in a village named Barbarano near Vicenza. (Here’s a link to gorgeous pictures of the property where we stayed and the surrounding area.) We made three train-trips into Venice, several drives to Vicenza, went twice to Padua and to Verona. We were there in the off-season when the rent was very low. That trip was really our introduction to Italy and we couldn’t have chosen a better place to begin. 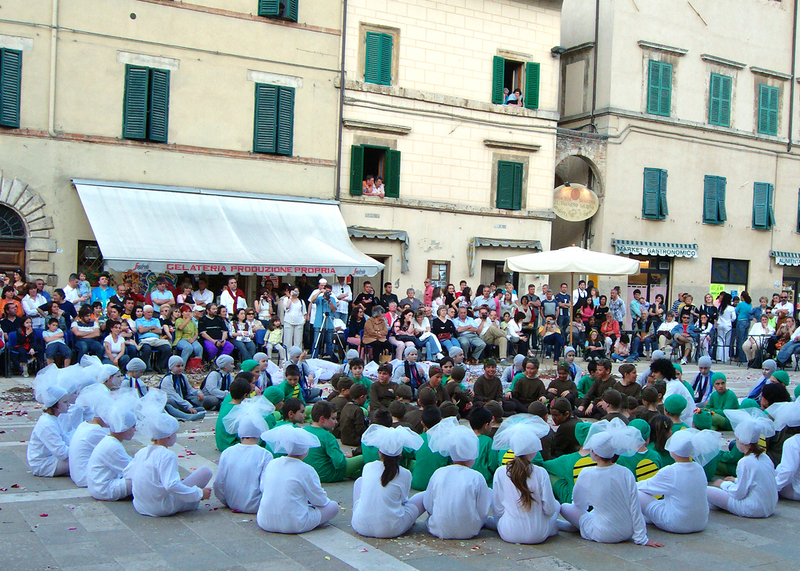 The village children of Cetona after their performance, dressed as winter, summer and autumn. I plan to share with you in my next few posts some of the beautiful but less well-known places we have visited in Italy. 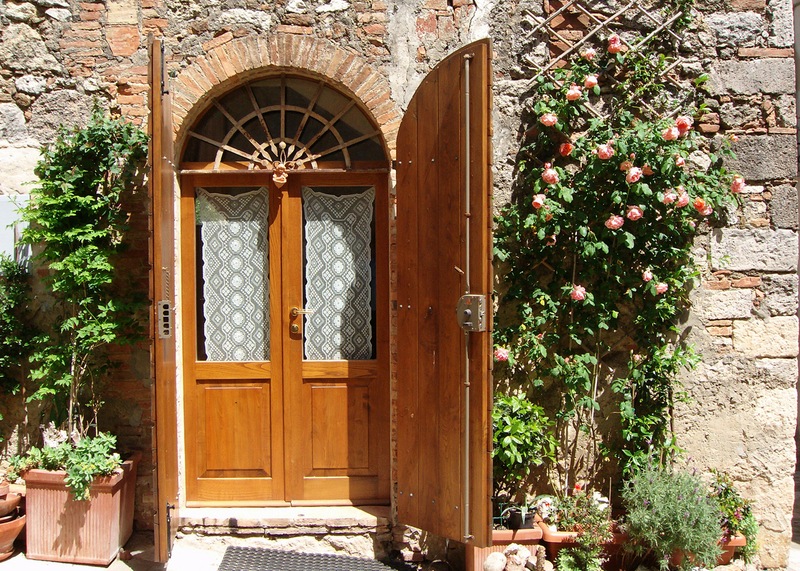 I hope you’ll discover that renting a small place and exploring the Italian countryside can be very affordable and very interesting, and that you’ll plan your own trip there soon! The photo at the top of this post is of the doorway of our apartment in Cetona. This entry was posted in Italy, Slow Travel, Tips for Travelers by Libbie Griffin. Bookmark the permalink.